American Flags and Oregon Flags to fly at half-staff Friday, September 27th in the State of Oregon in honor of US Navy Chief Warrant Officer Jonathan Gibson. CWO Gibson died on September 22nd while serving in the central Red Sea in support of Operation Enduring Freedom. The MH-60S Knighthawk helicopter he was piloting crashed shortly after touching down on the destroyer USS William P. Lawrence. CWO Gibson was assigned to Helicopter Sea Combat Squadron Six at Naval Air Station North Island, San Diego, California. His medal’s include: the Navy and Marine Corps Achievement Medal, National Defense Service Medal and the Global War on Terrorism Expeditionary Medal. 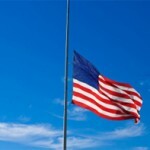 American Flags and Minnesota Flags to fly at half-staff Sunday, September 29th in the State of Minnesota in honor of Minnesota Fallen Firefighters Memorial Day. American Flags and Illinois Flags to fly at half-staff Tuesday, September 24th through Wednesday, September 25th in the State of Illinois in honor of US Army Staff Sergeant Randall Lane. Army Staff Sgt. Lane died while serving in Kabul, Afghanistan as part of Operation Enduring Freedom. He was part of the 1438th Transportation Company and served as a Motor Transport Operator providing security for convoy operations. American Flags and Minnesota Flags to fly at half-staff Saturday, September 21st in the State of Minnesota in honor of Justice Rosalie Wahl. Governor Mark Dayton has proclaimed this Saturday the 21st as Rosalie Wahl Day in Minnesota. Justice Wahl served as a Justice on the Minnesota Supreme Court from 1977 to 1994. She was the first woman to serve on the State’s highest court. Wahl was a graduate of the University of Kansas who earned her law degree from William Mitchell College. American Flags and Illinois Flags to fly at half-staff Saturday, September 21st through Monday, September 23rd in the State of Illinois in honor of US Air Force Major James Sizemore. Major Sizemore was a Vietnam Veteran who’s A-26 Invader aircraft crashed while on a mission in 1969. His remains were recently identified. American Flags and Illinois Flags to fly at half-staff Wednesday, September 18th through Friday, September 20th in honor of Illinois National Guard Sergeant 1st Class Jerome Baker. Baker served for 11 years and was recently named noncommissioned officer in charge of readiness for Company G, 634th Brigade Support Battalion, 33rd Infantry Brigade Combat Team. 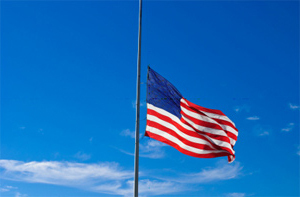 American Flags are to fly at half-staff beginning Monday, September 16th through Friday, September 20th throughout the United States in honor of the victims of the shooting at the Washington Navy Yard today. Twelve people lost their lives today when a gunman opened fire at the Washington Navy Yard and many more were injured. Created in 1799, the Washington Navy Yard is the Navy’s oldest land establishment. The Navy Yard was originally constructed as a shipbuilding facility that built and serviced some of the Navy’s famous early vessels. The facility was burned during the War of 1812 and was later rebuilt and transformed into a center for ordnance and technological development. Today, the Washington Navy Yard houses the headquarters of Naval District Washington and as well as a naval museum. 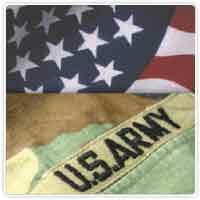 Visit our Flag Facts page to see our newest article about some of the ways the military uses flags. American Flags and Iowa Flags to fly at half-staff Tuesday, September 17th in the State of Iowa in honor of Officer Jamie Buenting. Officer Buenting was a member of the Rockwell City Police Department who was killed in the line of duty Friday, September 13th. Buenting was part of a group of officers who were attempting an arrest of a suspect wanted on a felony domestic assault warrant. The suspect barricaded himself inside a home. During the standoff with police officers, the suspect fired a single shot which struck and killed Officer Jamie Buenting. He had been with the Rockwell City Police Department for eight years of a twelve year career in law enforcement.